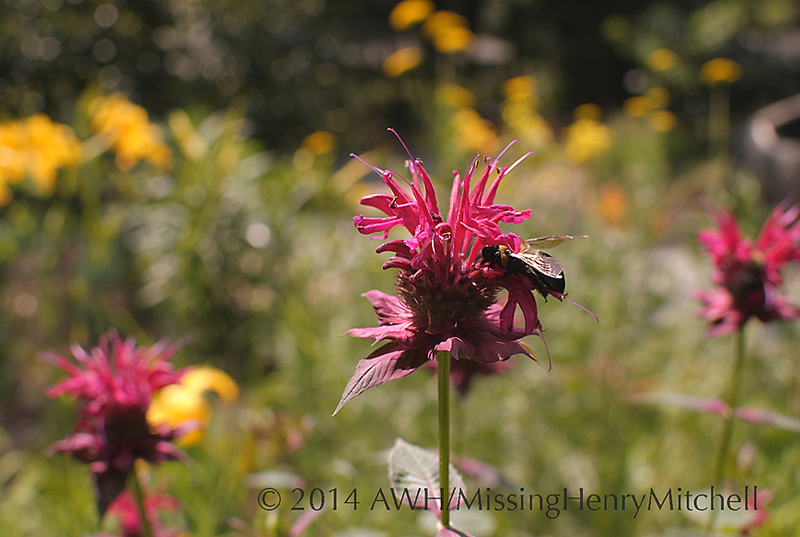 I came so close to getting a photo of a hummingbird visiting my bee balm today. But of course, he was too fast for me. I waited and waited, but he didn’t come back while I was there. 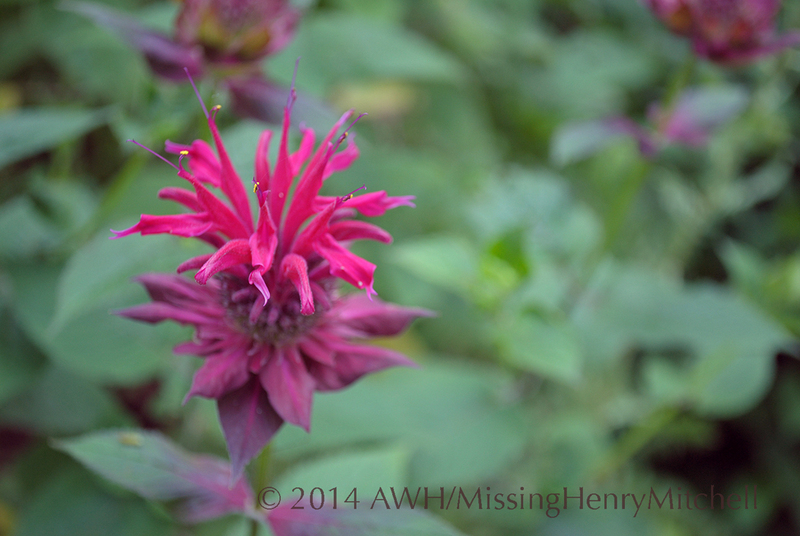 Perhaps I’ll catch him again, or when the salvias are in full bloom. 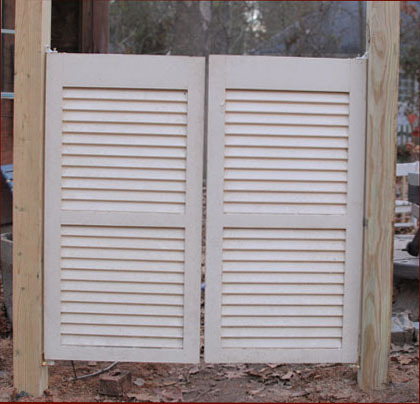 I finished the saloon door gate. It was a big hit with the 7-year-old, who immediately began bursting through one way, then the other. Why, she asked, did we ever take these out of the house when they’re sooo cool? Incidentally, these gates are placed in a break in the new border of azaleas being made by the Great Azalea Migration. In my mind’s eye, these gates will one day offer an enticing pathway through great billowing flowering shrubs. We’ll see. 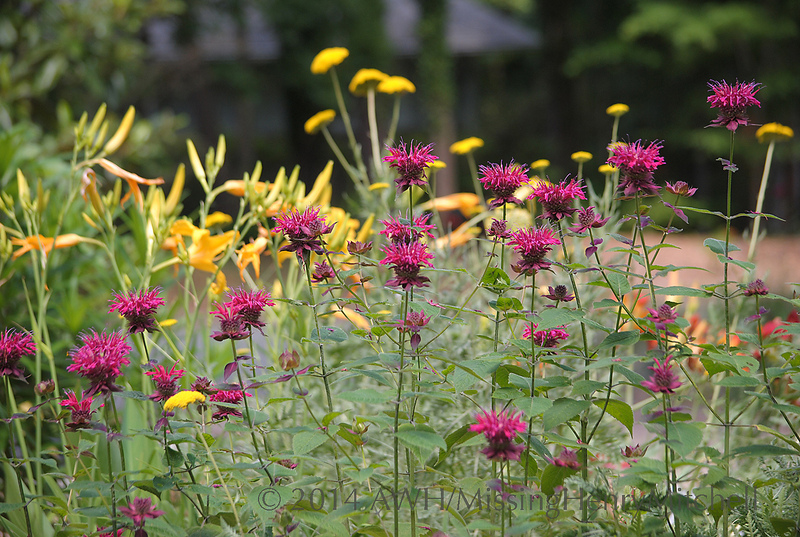 So, adding to the butterfly-friendly theme, the Asclepias, Echinacea, Monarda, Datura, and Zizia aurea should reel them in. Maybe more of them will as well; I need to read up. If I had any sod to bust, I would say I had better get to it; assuming all these things grow, my garden will absolutely explode with plants next summer. As it is, I had better start busting clay and place an order for about 12 yards of manure. It may take me from now to the last frost to prepare good beds for all these fellas.